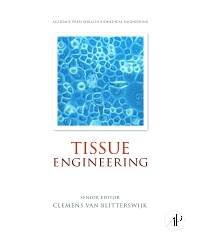 Tissue Engineering is a comprehensive introduction to the engineering and biological aspects of this critical subject. With contributions from internationally renowned authors, it provides a broad perspective on tissue engineering for students and professionals who are developing their knowledge of this important topic. Key topics covered include stem cells; morphogenesis and cellular signaling; the extracellular matrix; biocompatibility; scaffold design and fabrication; controlled release strategies; bioreactors; tissue engineering of skin, cartilage, bone and organ systems; and ethical issues. Prof. Clemens A. van Blitterswijk is Professor of Tissue Regeneration at Maastricht University, heading up one of the leading European labs in the field of Tissue Engineering and Regenerative Medicine. He combines his professorship with being Founding Partner of the new LSP-Health Economics Fund of the European health care investment group Life Sciences Partners in Amsterdam. 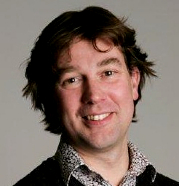 During his career Prof. van Blitterswijk has authored and co-authored ca. 400 scientific papers. He has co-founded multiple biomedical companies and is one of the highest ranking Dutch scientists under the most frequently cited in Materials Science. He has won numerous awards for his work, including the George Winter Award. of the European Society for Biomaterials, the Career Achievement Award of Termis and is a member of the Royal Netherlands Academy of Arts and Sciences. Jan de Boer is a professor of Applied Cell Biology at the Laboratory of Cell Biology-Inspired Tissue Engineering, University of Maastricht, The Netherlands, where his team performs innovative research on molecular and cellular engineering of bone tissue. The research program is characterized by a holistic approach to both discovery and application, aiming at combining high throughput technologies, computational modeling and experimental cell biology to streamline the wealth of biological knowledge to real clinical applications. He is chair of the Netherlands Society of Biomaterials and Tissue Engineering, and co-founder of the biotech company Materiomics B.V. Professor Williams has had 48 years experience in biomaterials, medical device and tissue engineering, working mostly at the University of Liverpool, UK where he was ultimately Professor of Biomaterials and Biomedical Engineering, Director of the UK Centre for Tissue Engineering and Senior Pro-Vice Chancellor of the University. During his career he has published over 30 books and 400 papers: his latest book, Essential Biomaterials Science, was published by Cambridge University Press in June 2014. He was Editor-in-Chief of Biomaterials, the world’s leading journal in this field between 2000 and 2014. He has received the major awards from the US, European and Indian societies of biomaterials including the Founders Award of the US Society for Biomaterials in 2007, and received the prestigious Acta Biomaterialia Gold Medal in 2012. In 1999 he was elected as a Fellow of the Royal Academy of Engineering and is a Foreign Fellow of the Indian National Academy of Engineering and a Fellow of the American Institute of Medical and Biological Engineering, all in recognition of his contributions to engineering in medicine. He was global President of the Tissue Engineering & Regenerative Medicine International Society from 2013-2015. He was a scientific advisor to several divisions of the European Commission during the 1990s and wrote several opinions on which European actions were taken. He has, over the last 20 years, given evidence in several major product liability and patent legal cases in the USA, Europe and Australia. Professor Williams left the University of Liverpool in 2007. While retaining the title of Emeritus Professor at Liverpool, he is currently Professor and Director of International Affairs, Wake Forest Institute of Regenerative Medicine, North Carolina, USA. In addition, he is a Visiting Professor in the Christiaan Barnard Department of Cardiothoracic Surgery, Cape Town, South Africa, a Adjunct Professor at the University of Technology, Sydney, Australia, and a Guest Professor, at Tsinghua University, Beijing, and Advisory Professor at Shanghai Jiao Tong University, China. He is Visiting Chair Professor of Biomedical Materials, Taipei Medical University, Taiwan. In Cape Town, along with Professor Peter Zilla, the current Chris Barnard Professor of Surgery, he has formed a company that will produce low cost but high technology medical devices that can be used with minimally invasive procedures to treat young adults in sub-Sarah Africa, who are suffering from rheumatic heart disease but currently have no therapies available to them.